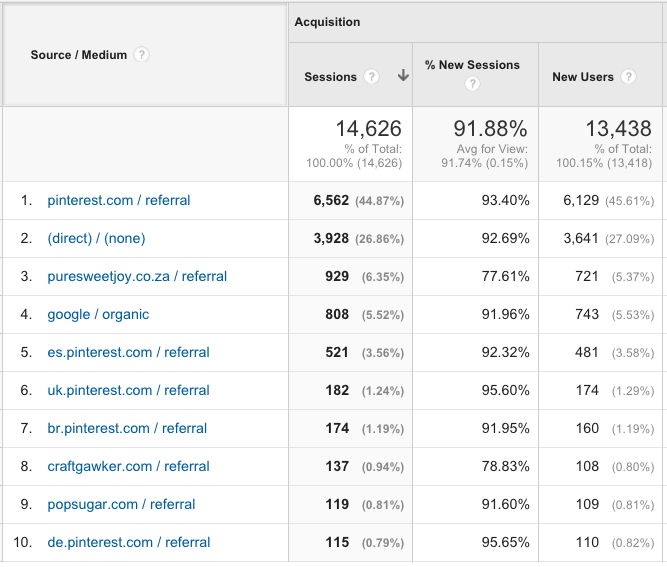 Sharing my blog stats online is scary. It feels a bit like I’m letting you into my house when I haven’t had a chance (or I’ve been too lazy!) to tidy it. It’s letting you in to a vulnerable space, where some people may judge me, but hopefully some will be inspired. I know that Pure Sweet Joy is not a particularly big blog and there is so much that I still need to learn, but I have been blogging for a number of years and have learnt many lessons along the way. The point of showing you my stats on a monthly basis is so that you can come along with me on the journey of improving Pure Sweet Joy. I’m aiming for transparency that can keep me striving for my best, as well as help you in your own blogging journey. I know, I know, it’s not only about the numbers, but it is a good way to measure progress. Each month I intend to post my Google Analytics stats, along with any expenses and earnings that I may have received. I’ll also speak about any changes or improvements made, accomplishments achieved and challenges faced that month. The 2015 SA Blog Awards were announced and Pure Sweet joy was the runner-up for best Arts & Crafts Blog. Yay! I started a new job in January, while I was still finishing off at my previous job. Lack of time was a serious problem and any free time that I did have needed to spent either with my loved ones or as me time. I had to make a conscious decision that it was OK, to just not blog. I needed the headspace for other things, during that season. Now that season is over and I’m ready to get going again! Although Pure Sweet Joy is not my full time job, it is a priority for me. I have been lucky enough to negotiate a day a week to focus on Pure Sweet Joy. This is very exciting for me and I cannot wait to improve my productivity and to be consistent with quality content. The majority of my referrals come through Pinterest. 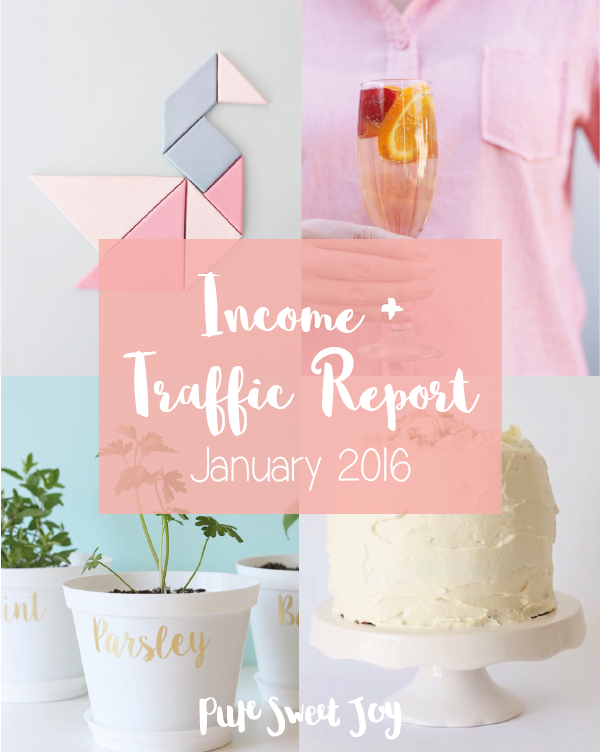 Although Pinterest is wonderful, I have been actively trying to increase traffic from other sources such as Craftgawker and StumbleUpon, as well as linking up with a few craft linky parties. This is another area that I will be focusing on much more in the future. I’m very interested to watch the distribution of desktop vs. mobile vs. tablet. Mobile and tablet are now making up one third of sessions. Pure Sweet Joy is mobile friendly, but it does mean that viewing on mobile means there is no sidebar. This makes creating a logical flow to other posts much more challenging. Something to think about. I invite you to join me on this journey. Be sure to follow along on Facebook, Instagram, Twitter or Bloglovin. If you would like to start tracking your own stats, or track them more accurately, remember to block spam referrals with this simple tutorial. Let me know in the comments below what resources, tips or challenges you would like to speak about.